How Do Shock & Vibration Affect a Pressure Transducer? Shock & vibration are two potential mechanical problems for pressure transducers. 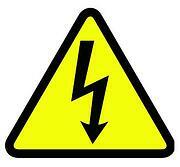 Shock is a sudden, unexpected impact that transmits energy to a device in a relatively short time interval. For a pressure transducer, that energy passes through the stainless steel up through the housing. Shock may originate from rough transportation and handling, such as by trucks, forklifts and conveyors. Alternately, shock can be caused simply by dropping the transducer on the shop floor or by an assembler slamming a cabinet door adjacent to it. A transducer may not be damaged by a single shock, but can experience fatigue failure with numerous low-level shocks over the course of its life. Vibration is yet another consideration. Vibration is continuous oscillation directed at the transducer. In the case of an engine test cell, for instance, the running engine emits a constant vibration that might affect transducer operation if it is mounted too close. Shock and vibration can cause a wide range of problems, including dented enclosures, disconnected wires, broken circuit boards, faulty signals, intermittent problems and shortened life. To prevent shock and vibration during the assembly procedure, OEMs should first realize this potential problem—many do not—and then take measures to prevent it. As simple as it sounds, the best remedy is to install transducers as remotely as possible from obvious sources of shock and vibration. Depending on the installation, another possible solution is the use of shock and vibration isolators. Transducer suppliers can provide OEMs with information needed to design a system where the transducer can be handled appropriately during installation. They advise engineers to design their transducer installation so only a few tools are used for its assembly rather than an entire toolbox, increasing the likelihood that the correct tool will be used during the assembly process. Also, care should be taken to ensure the correct tools are used. For example, assemblers shouldn’t use channel locks that may gouge and scratch the pipe when a standard open-end wrench will suffice. Moreover, if the assembly is heavier than the approved weight limit, work procedures should state that two people are required to lift it, rather than one who might drop and damage the assembly. For more information on how the manufacturing environment can effect pressure transducers, download "The 6 Things Design Engineers Need to Know" whitepaper. 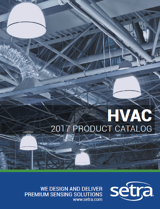 This comprehensive HVAC Product Catalog is now available online. Download the PDF now.